Love it! Arrived just in time for Christmas. 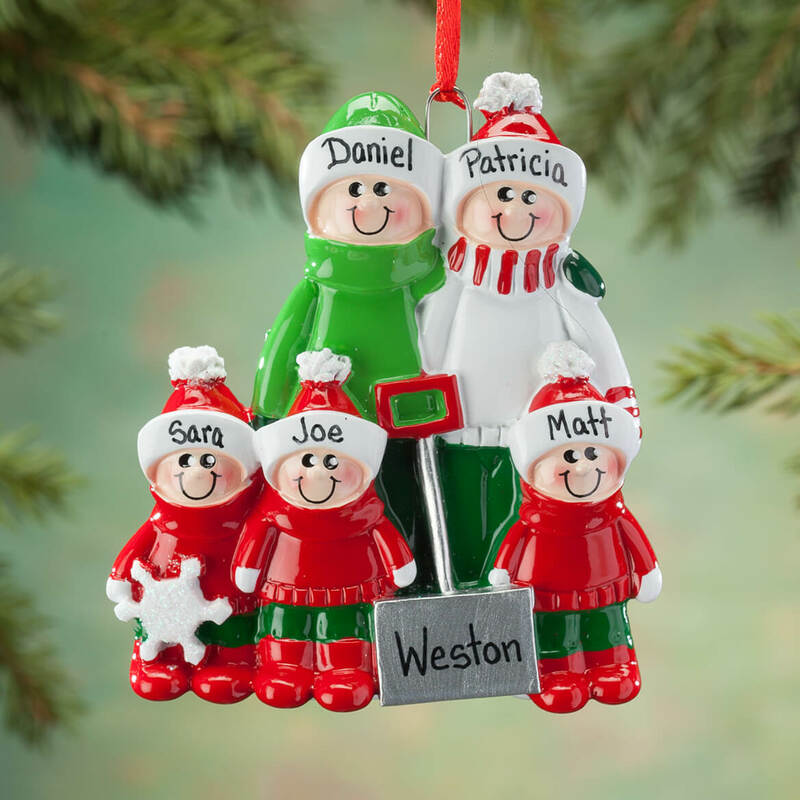 We are always on the lookout for a different personalized family ornament, this fits our favorite family! Both items were exactly what I wanted. Ordering was super easy. 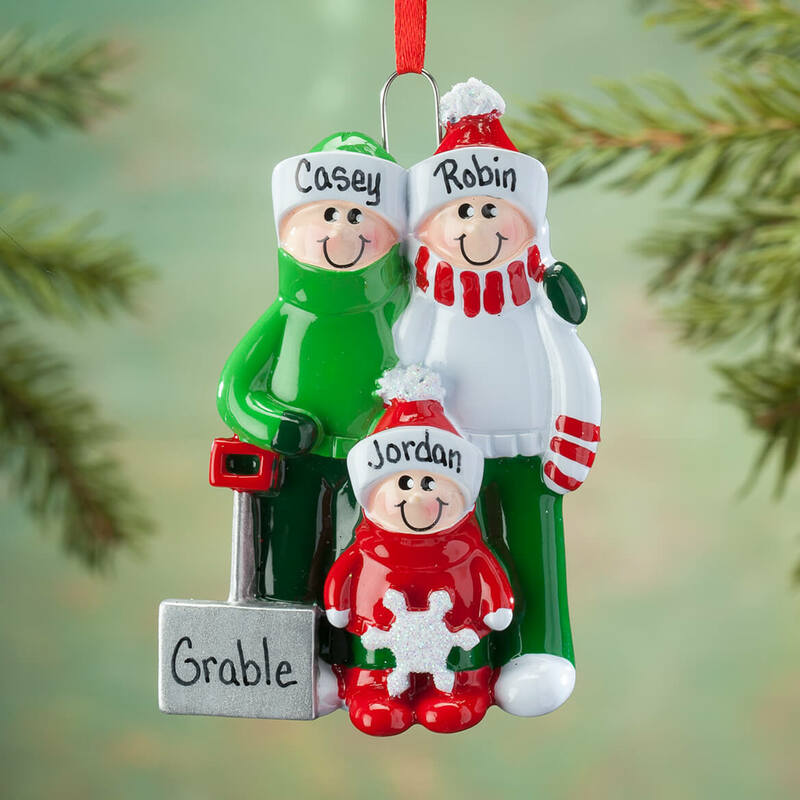 I feel my grandsons and their significant other will cherish these ornaments forever. 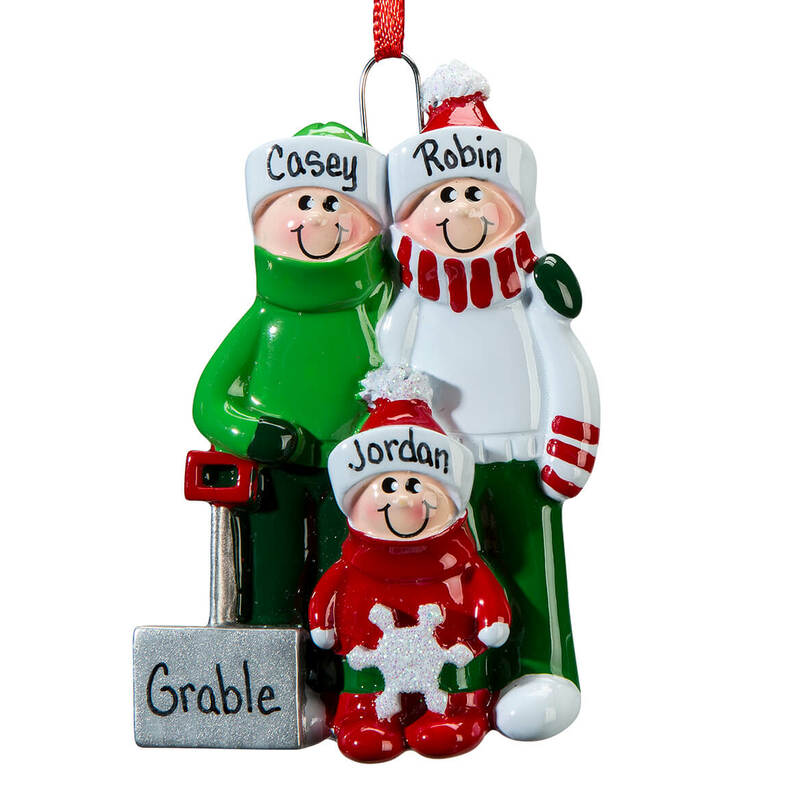 We get the kids & their kid an ornament for every Christmas & I love Miles Kimball's things. 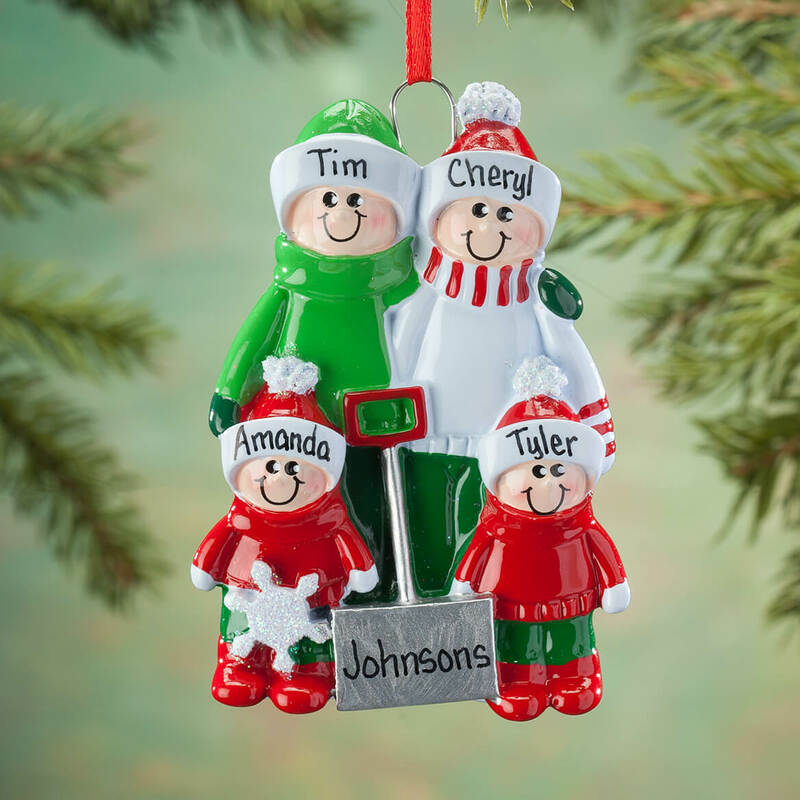 Beautiful portrayal of family, I believe. Can we add the year 2018? BEST ANSWER: I guess you can, but you would not be able to add the "Last Name" on the Shovel. It would either have to be the last name or the year.